Ever noticed that when you apply moisturiser, it seems to seep into the skin and disappear? Has it ever occured to you that this means that every ingredient in your moisturiser is sinking into your cells and bloodstream? I really started thinking about this recently. I wouldn’t take a big spoonful of commercial moisturiser – especially not after reading the ingredients list that reads like the contents of a chemistry lab. And yet, I allow it to be absorbed into my skin, where it reaches my cells much more directly than if I ate it (in which case it would be filtered by my liver and kidneys). It has not been defined by science how much skin can absorb, however it seems clear from studies so far that skin absorbs anywhere between 60-100% of what we rub on our skin. The chemicals we absorb from our skin care has been found in all sorts of organs, not the least of which being the womb. 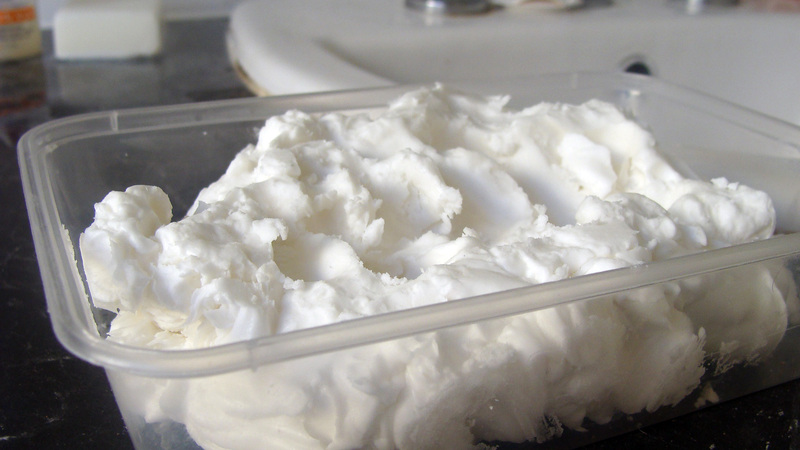 That’s why I was so excited when I came across this recipe for homemade moisturiser. Not only does it only really contain one ingredient (with a couple of optional additions), but that ingredient is a really nutrititious food product! How better to nourish my skin than with pure coconut oil?! 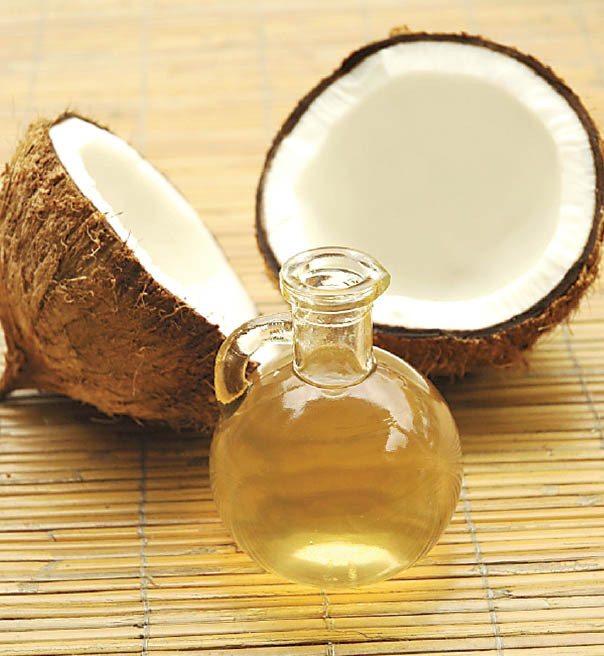 The benefits of coconut oil are so many it really deserves a post all of its own. Just trust me on this – it’s really good stuff! Quite apart from it’s nutritional benefits, it is also fantastic for dry and problem skin, including acne, psoriasis, dermatitis and eczema. It is antibacterial, antiviral, antifungal and antiparasitic. 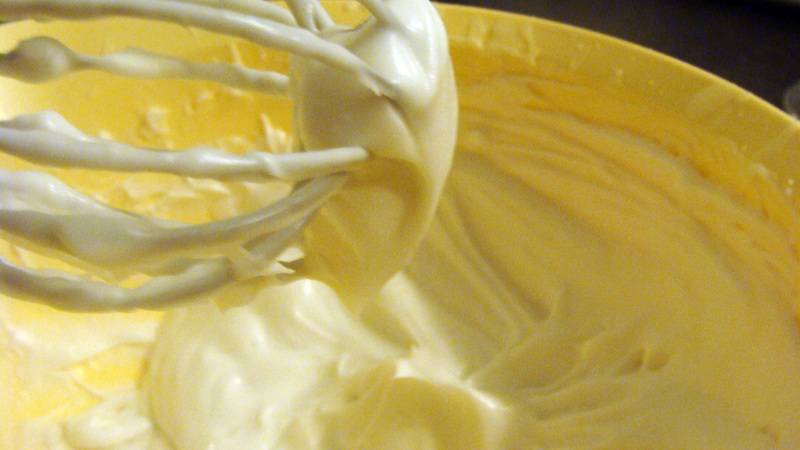 Put all the ingredients in a bowl and whip with a wire whisk. If you have a KitchenAid or similar (drool, a woman can dream), you will find this much easier than I did. 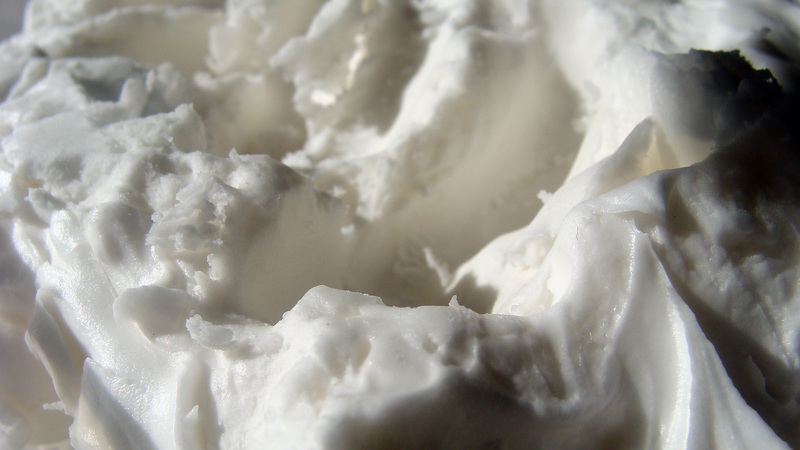 It will thicken up and become a thick white cream. I first tried to whip it with a stick mixer, but it really wasn’t going anywhere. Once I got out the wire whisk, it just took a little elbow grease and it got there eventually. The melting point of coconut oil is quite high at 24 degrees Celsius. Therefore, once whipped, you’ll want to transfer this rather quickly to whatever container you intend to store it in. It will set rather hard, so I recommend something fairly shallow with a wide mouth. I actually just used a plastic takeaway container for this batch, but I intend to get a nice looking container for it next time! I found the scent of the essential oils I used was completely overpowered by the coconutty smell of the oil, so I think I’ll just leave them out next time. As it’s a rather chilly winter here at the moment, my moisturiser is in a kind of soft solid block on my bathroom bench. I just scrape a bit off with my fingernail and it quickly melts into the skin with the friction of rubbing it on and the natural warmth of the body. Apparently in the summer, it may need to be stored in the fridge to maintain it’s whipped state. This moisturiser is SO good! I use it on my face every day after washing, and on my legs after shaving. You may be worried about putting oil on your face, especially if you have oily skin, but I really recommend giving it a try. It absorbs really quickly and leaves the skin feeling lovely and soft. I have heard people have had a lot of success with it for acne, so don’t be afraid of it if you’re pimple prone! So there you go – if even a mere male can notice the difference, it must be good! Not only that, I *love* knowing that I am nourishing my skin with a pure, nutritious food product, that I am completely happy to have absorb into my body.